should i drop giants and seattle d for a stream? pats skins or oak? I'm thinking now though that CIN will be very angry after being pwned by ravens and will want to take out their frustration on the browns. this is me too.... right now i have oak because I think mia is horrible and last week the rams actually put up some points. I think the skins have a better defense than the raiders, but i also think the rams have a better offense than the dolphins. so it kind of cancels out, i guess. tough call.. i could change my mind, but right now i'm rolling with the raiders. Stupid to drop the SEA def for Cincy this week? One of the few times I've bothered to draft a Def, had higher hopes for them for the season. Too early to give up, or just start streaming? I did exactly that today. Agreed, but they aren't available as a streaming option in most leagues. Cleveland looked awful on offense last week. Weeden was rattled and they could not move the ball. NE should throttle Arizona and have a huge lead in 2nd half. That's tee off time vs Kolb and company. 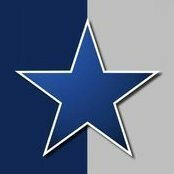 What do people think about Dallas vs. SEA? Claiborne and Carr were able to lock down Nicks and Cruz, so they might have a better time locking down a shaky Edwards and Rice. Demarcus Ware and Co. could dominate the weak O-line that SEA has and blitz Russel all day. I don't think Lynch will be able to run over DAL because Sean Lee and Burce Carter are a pretty sick tandem atm. I'm a bit worried that Russel will use his legs this week and run all over the place. Would love more thoughts on skins vs rams, im so torn on this...as i feel either raiders or skins are gonna have big days, but its never that BOTH work out lol....know what i mean? Its always like where one of the two will explode, and its typically the one you dont choose. It would be nice if both had monster days. Is Tannehill that awful or did he just have bad luck in throwing that many picks? Assuming the Bills' week 1 implosion against the Jets was an anomaly, they only have 3 games against strong offenses this season (two against NE and one against HOU). If they live up to the hype/payroll, this defense should pay very high dividends come playoff time! Has everyone given up on these guys? Not a lot of waiver wire material in my league (Bengals are available but I'm sure they will get taken in the blind bidding), so I'm thinking of sticking with these guys, except for those three games I mentioned. I believe 2 of his picks were tipped passes at the line. Sure he can be blamed for those but i guess call it a learning experience. We need to hear from some people who didnt/cant pick up Cincy, i think its universal opinion that cincy is the play...but some peckerwad in my one league put a waiver in for them so i didnt get them. I really am trying to sort out oakland or wahsington as my choices, but sort of lookin for some more opinions. Washington did a pretty good job against a stout NO offense, however Oakland is going up against a rookie QB with not much to his WR core. I think it's a coin flip. I'd probably go with the Raiders over the Skins. Dont have any anecdotal evidence why, it's just my gut call. They're both decent plays but Raiders just got embarassed on special teams on MNF and no, Tannehill probably won't be AS terrible, but he's got Bush and Bess to throw to...Bradford has shown he can be ok, Tannehill has shown signs he's terrible so far. I dropped Seattle for the hot Cincy bet this week. I have Chicago defense but it's hard to start them at green bay. Or picking up cinci for this week. Other options - new Orleans, wash, minn, Oakland. I'd go with the Cowboys.....I think the Bears are in for a tough night. Rodgers will probably be pretty sharp at home after the just lost Sunday. I wouldn't be surprised to see them put up 30+ points. I went with Washington. But its tough. Rams have no weapons at all. Personally just dont trust the Raiders and Dophins went against a very solid D last week. hard to judge...roll with your gut. Want the Bills so bad for next week @CLE but want WAS or OAK this week. Drop Bill's or just ride 'em in hopes last week was an anomaly?